You are here: Home » Vocation » Why Vincentians? Why join the Vincentians? If I wanted to be a priest, why not a Diocesan? What’s the difference really? 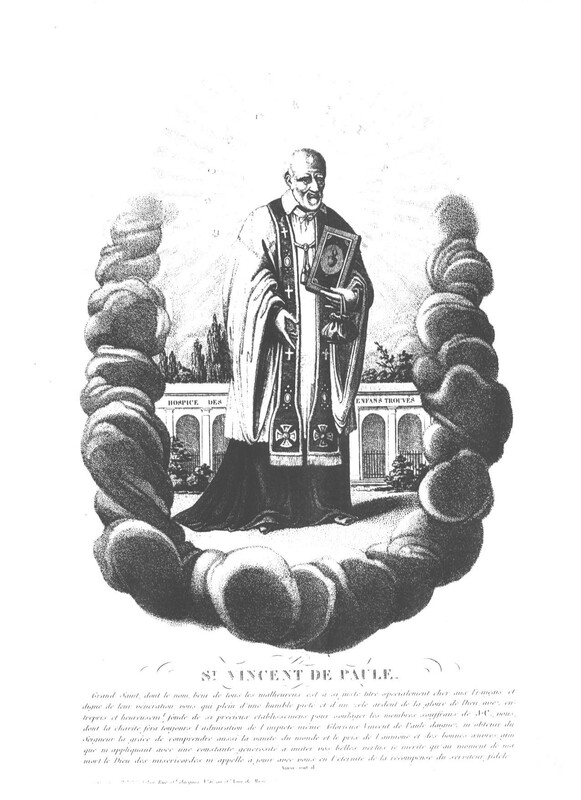 Vincentians were founded by St. Vincent, himself a diocesan priest, who gathered a community of men around him for a mission: to serve the poor in Jesus Christ. Unlike diocesan priests serving primarily in parishes, Vincentians do a variety of works, including parishes. The diocesan priest’s ministry is connected to his local bishop, and he may live alone or with others. Vincentians commit to pray, work, and live together communally as brothers. As Vincentians, we find ourselves sharing a common life with a variety of men of various ages, cultures, ethnic, economic and social backgrounds. St. Vincent de Paul believed that we all needed support and that to live in isolation would not be helpful in our mission of evangelising the poor and ministering to the clergy. Whatever class distinction and privileges may have existed prior to their entering the priesthood, all things are shared in common, each one being responsible for the needs of the rest. Each order has its own spirituality, its own charism. A charism is a particular window on the person of Christ that each congregation follows. For the Vincentians it is Christ, the Evangeliser of the poor. So what is this Vincentian charism or spirituality? If asked to nominate the three main characteristics of their lived spirituality, many members of the Vincentian family would probably say that they were compassion, friendship and prayer. Vincentian spirituality values non-possessive friendships which are characterized by mutual respect and cordial affection. Talking to Daughters of Charity in 1658 St. Vincent said: “St Paul says that whoever abides in charity has fulfilled the law…It is a means of establishing a holy friendship among you and of living in perfect union, and in this way enabling you to make a paradise in this world.” Vincentian evangelization can only be effective to the extent that it was rooted in the experience of God’s friendship love as mediated by the members of the Christian community. Finally, through their encounter with the Christ of gentleness and compassion in prayer, and the Christian community, Vincentians are prepared to encounter and assist the same Christ in the poor. Having done so they reflect on that experience and its implications, e.g. how to cope with their own inner poverty. While Scripture plays a pivotal role in all Christian prayer, Vincentian spirituality maintains that the contemplation of Christ, provides an experiential key that helps to unlock the true, and normative meaning of the Biblical texts. This process of transformation prepares members of the Vincentian Family to return to renewed service of their “lords the poor,” to use St. Vincent’s graphic phrase.